Time Does Not Matter to the Airlines UNLESS It Is Their Time and Money! A few weeks later you are in line at McDonalds to get something to eat, and you hear a man in front of you saying to the young lady at the counter – “What kind of business are you running here? I have been waiting 2 minutes for my french fries. I run one of the biggest airlines in the country. I don’t have time to put up with your incompetence. To hell with you! I don’t need your food.” Now I don’t recommend that you say this next time your flight is delayed – or you will be sent to TSA Jail! This entry was posted in People and tagged airlines, delays, travel, tsa on April 29, 2015 by Good Day Illinois. 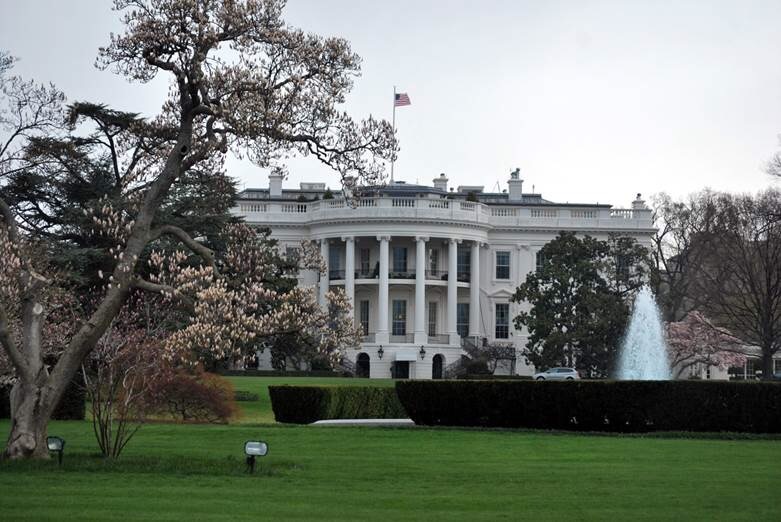 Enough of the Bushes and Clintons – America Needs New Faces and New Policies! Hillary Clinton has announced that she is running for President, and Jeb Bush will probably be next. Unfortunately, it looks like Clinton will have no real competition from within the Democratic Party. On the Republican side it looks like Bush will have a lot of competition which is good for the country and the Republican Party. Jeb Bush’s brother was no fiscal conservative, and his tax policies benefited the upper few per cent of this country and his friends on Wall Street. The Democrats under Obama do not pretend to be fiscal conservatives. The Obama fiscal policy is to tax more so they can spend more. Here’s the sad part. The Democratic Party and Republican Party in the past were not that different. The real difference between the two parties is simple – the Democrats pretend they care about the middle class, but in actuality their policies promote the welfare state and contribute to the destruction of the middle class. The Republicans in contrast do not even pretend to care about the middle class and have promoted policies that benefit the very wealthy of this country. It’s about time America elected a leader who would promote policies that would help and not contribute to the destruction of the middle class. One thing for sure, neither Clinton nor Bush is that leader! This entry was posted in Politics and tagged 2016 presidential race, bush, clinton, new blood on April 27, 2015 by Good Day Illinois. 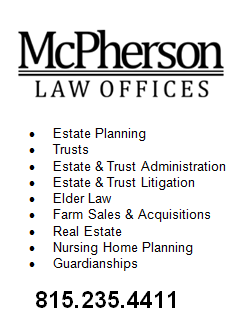 Heather McPherson to Speak at 2nd Annual Elder Law Bootcamp on April 23 in Chicago. 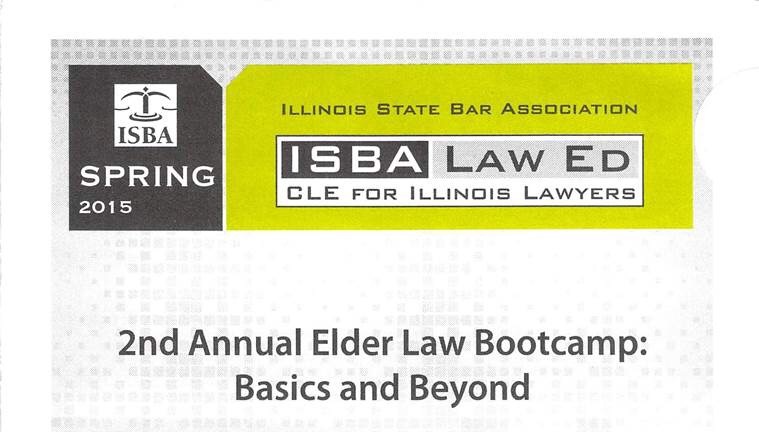 Heather, past chairperson of the Elder Law Section Council of the Illinois State Bar Association, and presently a member of the Trusts and Estates Section Council of the Illinois State Bar Association will be speaking in Chicago at a seminar for members of the Illinois State Bar Association. Her topic will be “To Open an Estate or Not to Open an Estate – That Is the Question,” and it will be directed to attorneys with limited experience in the estate area. As Heather tells her clients, attorneys must stay current as to recent developments in the estate area so that they can advise their clients as to how any changes many affect their estate plans. Of course, all of us should review our estate planning documents every few years so that they can be adjusted to reflect changes in our personal lives or those of our family members. This entry was posted in People and tagged heather mcpherson, ISBA on April 22, 2015 by Good Day Illinois. It’s Spring Time in Freeport – The Deer Have Taken Over South Freeport and Alderman Tom Klemm of the 1st Ward Proposes That It Be Turned into a Nature Preserve! Under the leadership of Tom Klemm who represents the 1st Ward, the area south of Yellow Creek has continued to deteriorate. Forget planting new shrubs, tulips, or anything edible since the deer have taken over. Forget fixing the roads. The remaining human inhabitants on the south side drive all-terrain vehicles – they just don’t need roads any more. They like paying high taxes for nothing. Mr. Klemm has been on notice of this condition and the destruction this portion of his Ward, and has done nothing. At least Jennie DeVine did something for her constituents – wish them “happy birthday.” We now have four new council members, and the smartest thing they can do is to ignore Tom Klemm. As for turning the south side of Freeport into a nature preserve, it is a proposal with merit. It would certainly reflect reality. In fact we could call it “KLEMM’S NATURE PRESERVE.” Oh well, that really is enough to make you sick! This entry was posted in City of Freeport and tagged deer, Freeport City Council on April 20, 2015 by Good Day Illinois. It’s Time for Changes on the Freeport City Council – Vote for New Leadership on April 7! Andrew Chesney for Alderman at Large – Although he has no competition, he should be supported. We need young people like Andrew to challenge the failed policies of the past. Peter McClanathan in the 2nd Ward – Peter will listen to the people of the Freeport and not rubber stamp the polices of the Gitz Administration. The present alderman, Shawn Boldt, has one solution to every problem – more taxes! Art R. Ross in the 3rd Ward – His opponent, Ronnie Bush, has been on the Council for 20 years. Let’s thank Ronnie for his service, but let’s face it. Ronnie Bush and most his fellow alderpersons have failed to address the problems facing Freeport. Give him and the other incumbents another 4 years and Freeport will be joining Detroit in bankruptcy. Jodi Miller in the 4th Ward – Jodi knows what it takes to run a business. This should not even be a race. Jennie DeVine, her opponent, has done nothing during her years on the Council unless you count wishing her constituents “happy birthday.” She can do that from her home! Patrick R. Busker in the 5th Ward – Again, this should not even be a race. Dennis Endress, the present alderperson, is in the same category as Jennie DeVine except he says absolutely nothing at most council meetings. What has this man done during his term on the Council? The answer is simple – NOTHING. This entry was posted in Politics and tagged alderman, Freeport City Council, vote incumbants out on April 1, 2015 by Good Day Illinois.